Victory for the Eagles, 18 May 2013. Photo by Frances McMillan, Western Eagles club photographer. Another win for the Western Eagles in the Colac & District Football and Netball League, in Victoria’s south-west. 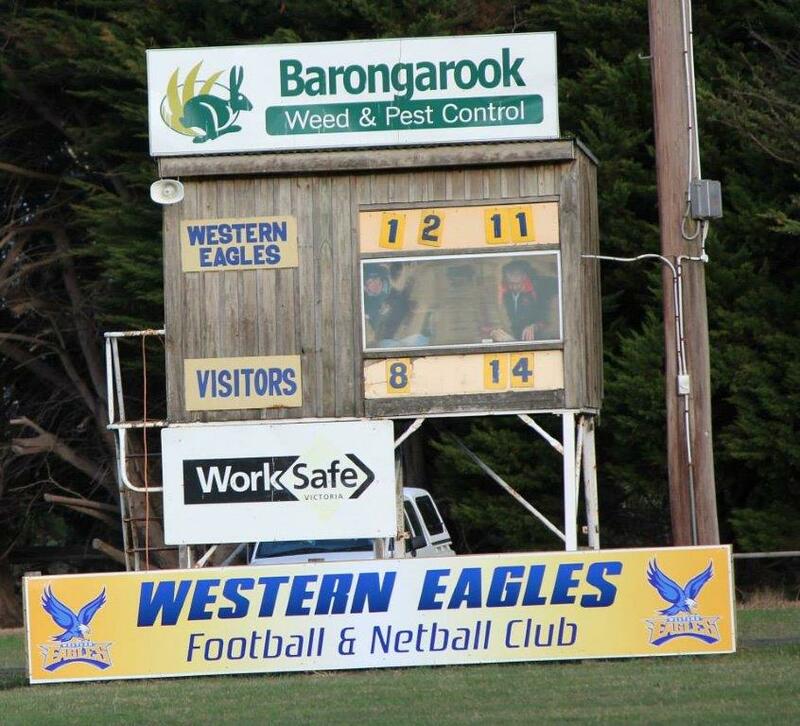 After some very lean recent years (including a winless 2010 season), the Western Eagles are well and truly putting the score on the board. Their 21 point win last weekend over Irrewarra-Beeac was the Eagles’ fifth for the year, placing them fourth in the eleven-team comp. The club was formed in 1996 after a merger between Irrewillipe and Pirron Yallock football clubs. Known as the Eagles, the club affectionately refers to its home ground, 25 kilometres from Colac, as The Nest. Irrewillipe used to wear a royal jumper with a red V and white collar and cuffs, while Pirron Yallock wore Richmond jumpers. The Eagles wear blue and gold. Pirron Yallock won a senior flag way back in 1924. Irrewillipe was the home of Stephen Theodore (recruited via Coragulac to St Kilda), Lee Murnane (recruited via Colac/Coragulac to Fitzroy) and Austin McCrabb (recruited via Colac/Coragulac to Geelong). Photo courtesy of CDFNL Umpires Association. 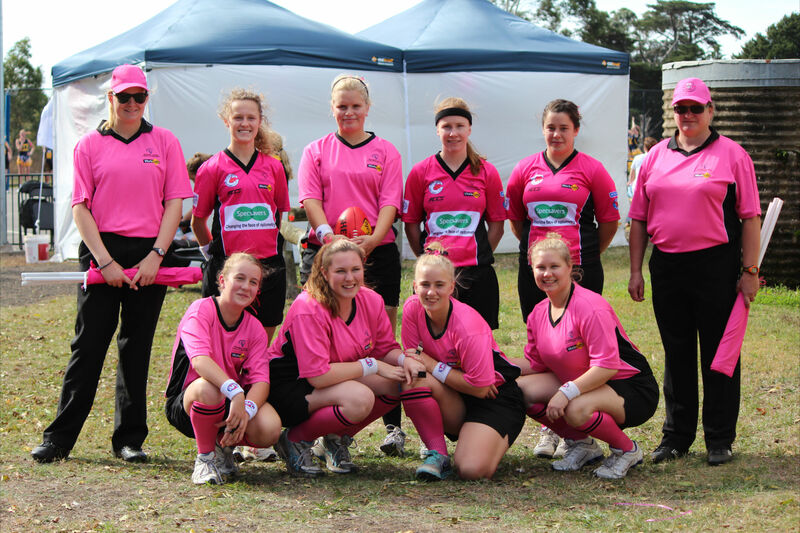 This year the Western Eagles hosted a Pink Day which saw a full female umpiring panel for the first time in the Colac and District FNL’s history.